Why go "Walking on the Moon" when you could spend $200,000 to lounge on Malibu's most exclusive beach? Want your very own Field of Gold? Here's your chance. In this case, it'll be a seven-bed, 10-bath estate in the elite Malibu Colony, CA, neighborhood. The palatial spread, which belongs to former Police frontman Sting, just hit the market — with a price tag of $200,000 for a short-term rental. 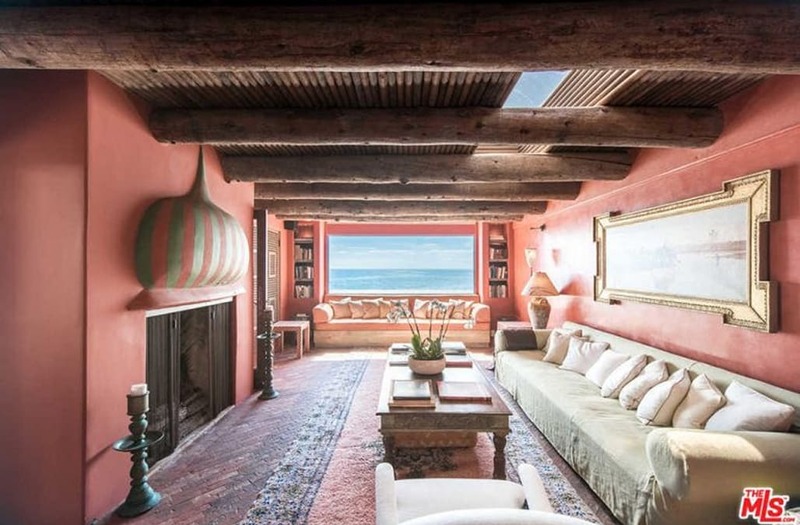 Measuring 5,549 square feet, the Southwestern-style property (could we call it a "Desert Rose," perhaps?) is one of the largest properties available for a short-term lease in the ritzy enclave, where megastar residents have included everyone from Brian Grazer to Judd Apatow. Sting even bought the property from Dallas star Larry Hagman! Tucked behind gates, the beachfront home, built in 1927, boasts luxe interiors and dazzling ocean views, with plenty of space for guests. A tranquil garden with a pool and waterfall leads into grand living spaces, notably multiple sitting rooms with fireplaces, a chef's kitchen, and an elegant dining room. The seven bedrooms include four guest quarters with en-suite bedrooms overlooking the sparkling Pacific Ocean or private garden. There's also a separate guest apartment or office with a wraparound terrace and fully equipped gym. A spacious patio featuring a fireplace, dining area, and spa, plus a deck with easy access to the beautiful Malibu beachfront make this one exquisite retreat. Have $200K to spare? You may just want to toss out your very own "Message in a Bottle" and stay awhile.